Jack Striker is former teenage hoodlum turned cop who is called in to investigate a murder, which he eventually considers to be the work of a vigilante killer. 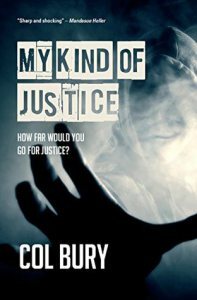 Col Bury’s My Kind Of Justice is a fantastic blend of social realism and gripping thriller action. 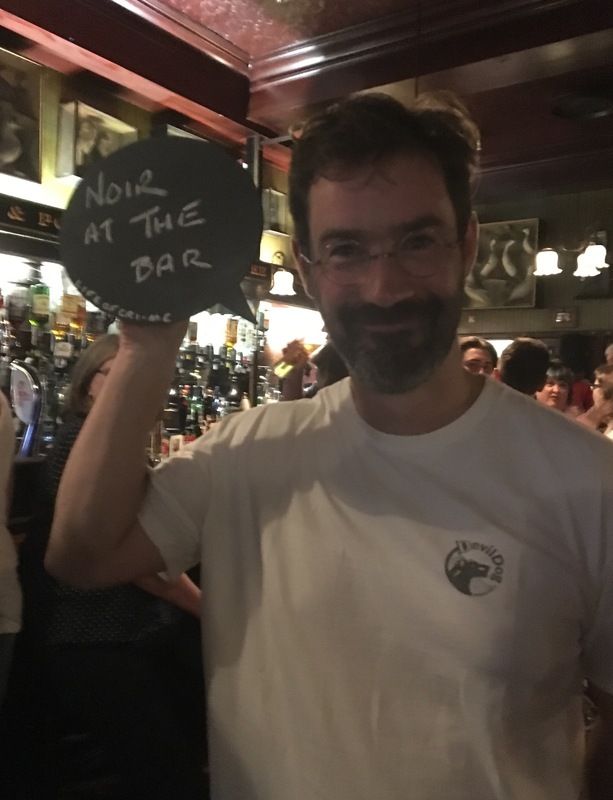 There are some great characters – Bardsley is a favourite, of course- , plenty of humour and a genuinely touching ending. A belter! 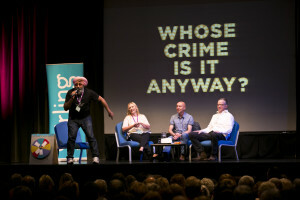 The Bloody Scotland Crime Writing Festival is one of those festivals that goes from strength to strength. 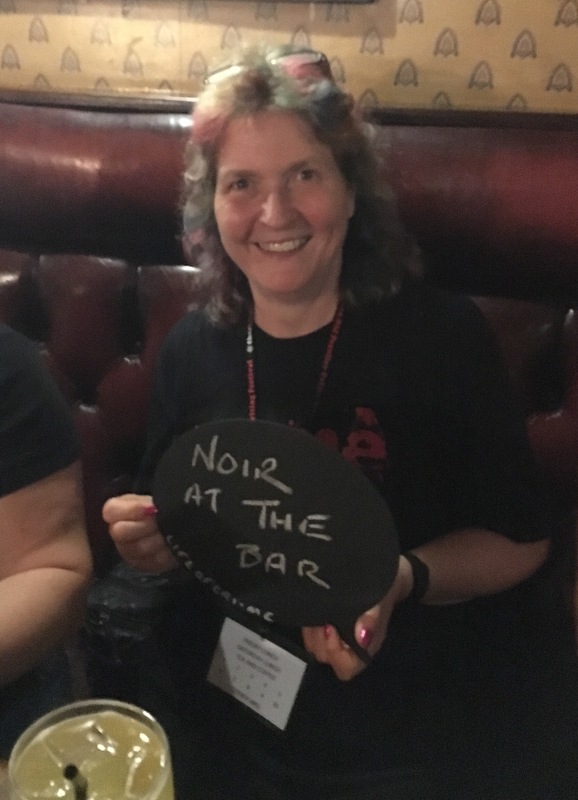 This year the organising team, led by the ever sparky Dom Hastings, put on a fabulous programme of events from panels to interviews, an awards dinner, a pub cabaret, and a football match – there really was something for everyone. In fact, it was so good it’s taken me a week to recover enough to blog about it! 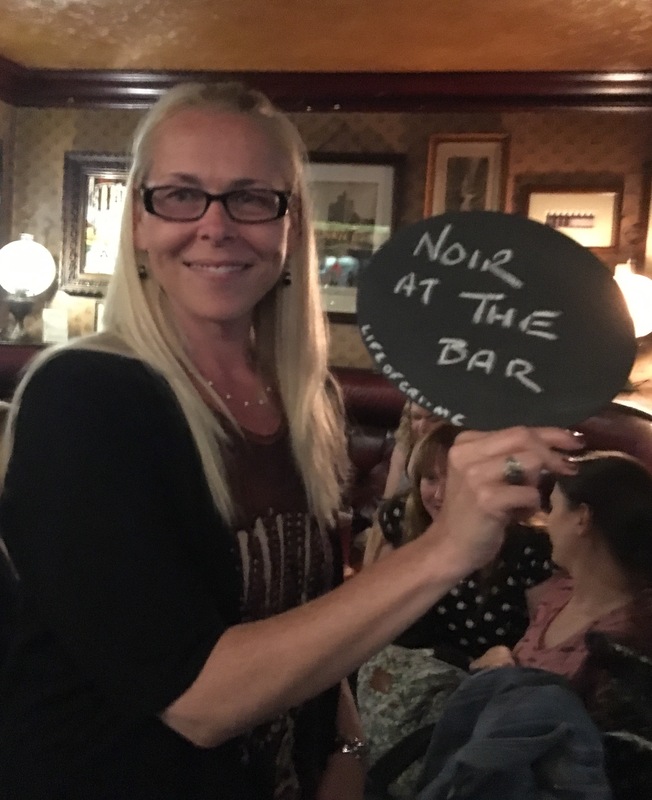 Theakstons Old Peculier Crime Writing Festival (Harrogate) 2015. 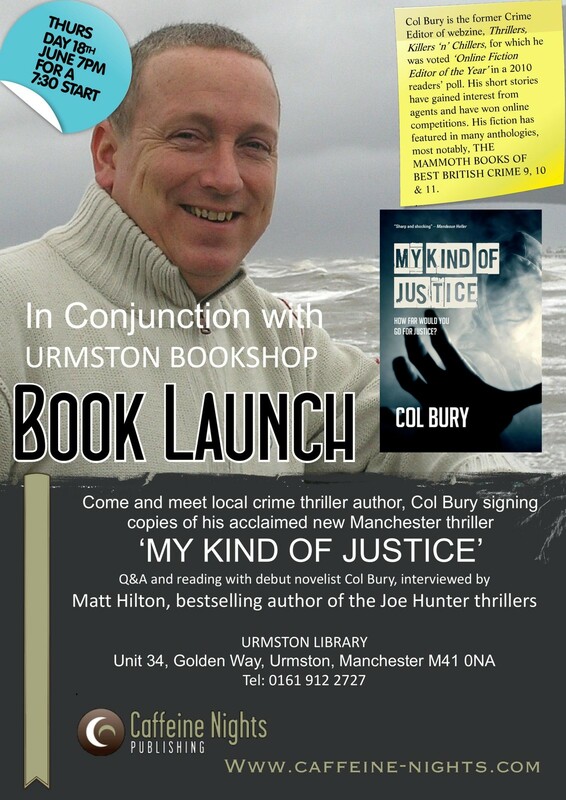 Guest post: Col Bury – Keep Dreaming. Reviews are great so far…! 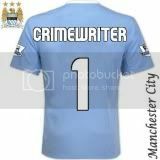 Newly-appointed DI Jack Striker, of Greater Manchester Police’s Major Incident Team, has a dark secret, one that would land him in prison. Striker’s first case seems a straight-forward gang-on-gang slaying, until a notorious youth is found hanged. Before any chance to investigate, bodies begin stacking up. With the hot breath of the brass burning his neck, including hardfaced DCI Maria Cunningham who’s onto him, Striker knows this case will make or break him. The media-dubbed “Hoodie Hunter” mixes MO’s, leaving few leads, and Striker recognizes the work of a highly-skilled vigilante killer. When Striker’s nephew is put into a coma, it becomes personal. Desperate, he runs an unofficial op with his trusty colleagues, the stunning DC Lauren Collinge and the un-PC DC Eric Bardsley, placed in the line of fire. 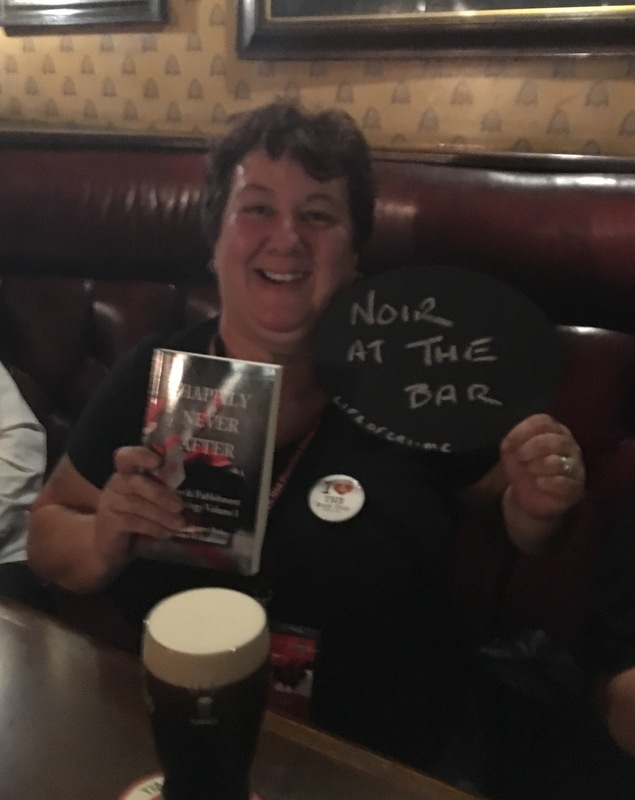 My Kind Of Justice is certainly one action packed crime fiction book! 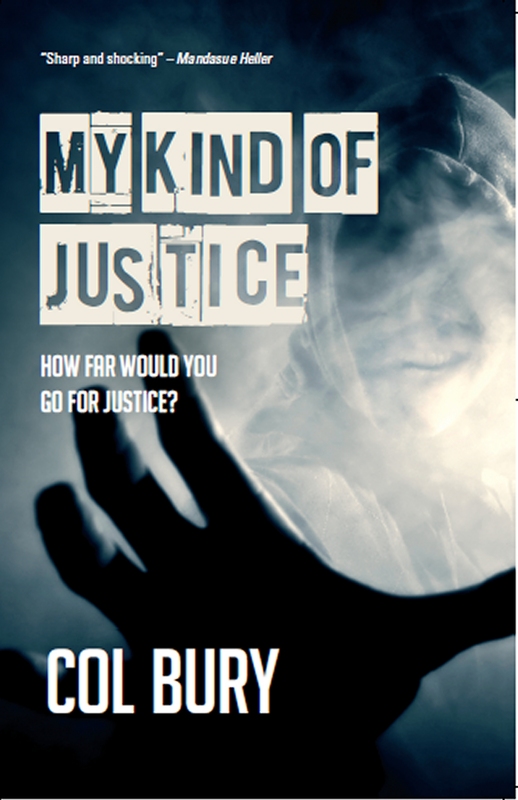 CB: At long last, my debut crime novel MY KIND OF JUSTICE has just been released by Caffeine Nights Publishing. So it’s signings, interviews (at all the best blogs!) and then back to the sequel, plus a few other bit ‘n’ bobs I’m working on. 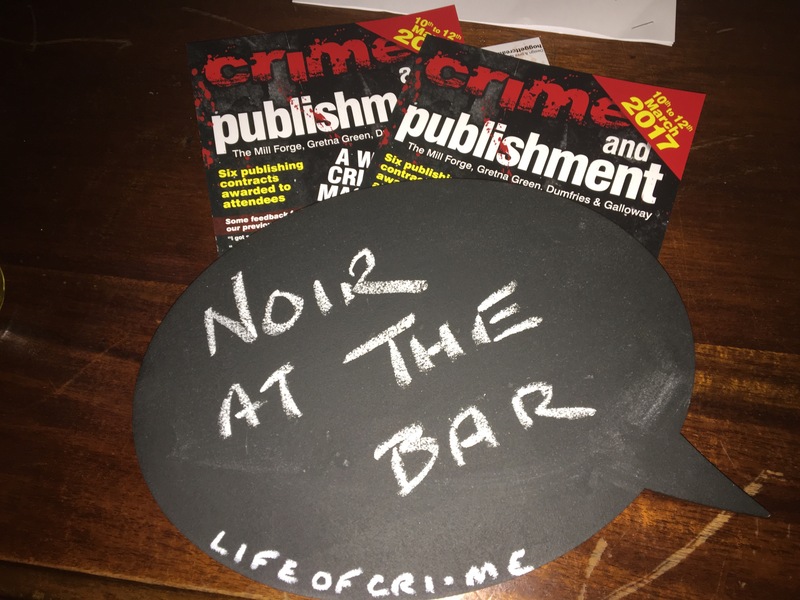 CB: I’ve always read and written crime fiction, plus I know a lot of cops and have worked closely with violent offenders, so most of it was already with me I suppose.